Welcome to the Chris Gamel Photography Network. As a way to thank you for joining our community, we would like to give you a free e-book. To begin downloading the e-book, click on the image or the link below (the e-book file is 2.7 MB, so it might take a minute to download, depending on your internet connection speed). 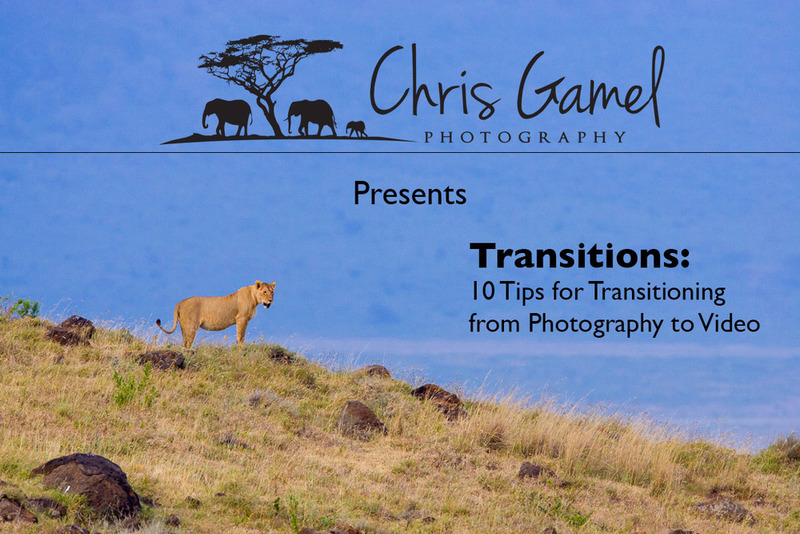 Click here to download your free copy of Transitions: 10 Tips for Transitioning from Photography to Video.